2014 is under way and off to an exciting start at OPI Living. 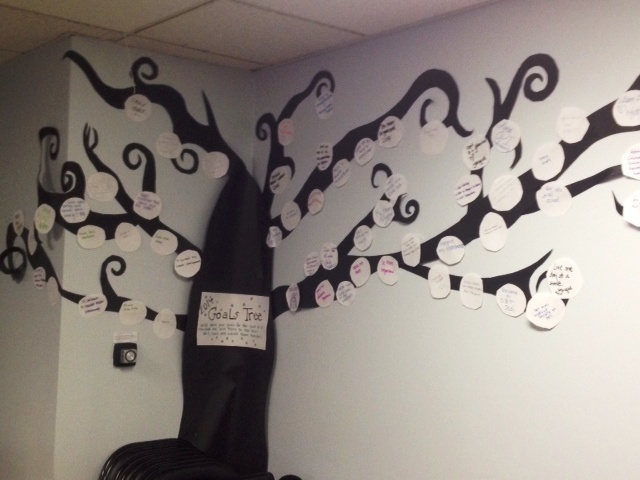 After the success of our November “Gratitude Tree,” we decided to create a “2014 Goals Tree.” It has been inspiring to see what our participants and staff aim to achieve this year. 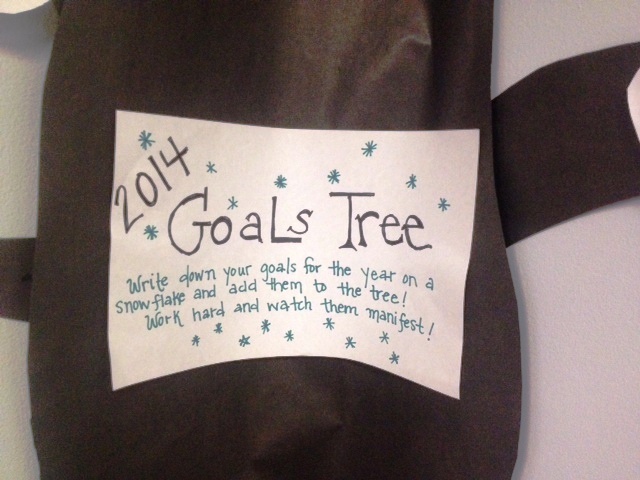 Each person who wanted to participate took a snowball-shaped piece of paper, wrote down his or her goals for the New Year, and placed it on the tree. Goals ranged from things like “Make New Friends,” “Drink More Water,” “Become a DBT Jedi” and many more. This fun and festive activity tied perfectly into the Life Coaching Department’s 2014 New Year campaign for “Successful Goal Planning.” All around the office, flyers were hung encouraging people to turn those old New Years Resolutions that never stick into a SMART Goal. What’s a SMART Goal, you may ask? SMART is the acronym we use in the department to reach our greatest results. 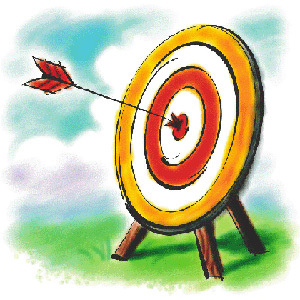 It outlines a process by which we help participants convert goal setting into goal getting. What exactly will you accomplish? How will you know when you have reached this goal? Is achieving this goal realistic with effort and commitment? What resources do you need? How will you get them? 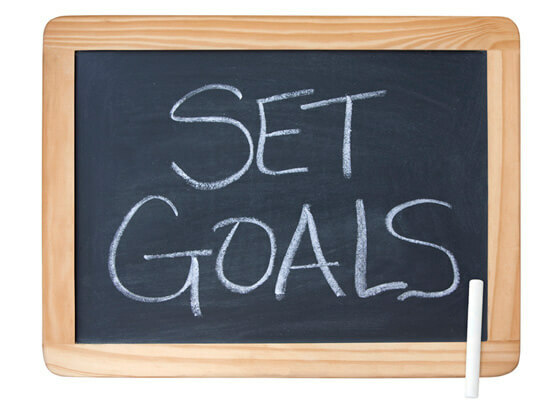 Why is this goal significant to you? When will this goal be achieved? When you turn your resolutions into SMART goals, you are increasing your likelihood for success, and if you need support along the way, contact the Life Coaching Department. We’ll be glad to help you out.